RALEIGH — North Carolina is teeming with new business owners, some of whom not yet old enough for middle school. But age is no concern for entrepreneurs like Leala, Eliana, and Titus Breed, who, at 7, 9, and 10, respectively, launched Grow Green Essentials, a line of organic cleaning products. 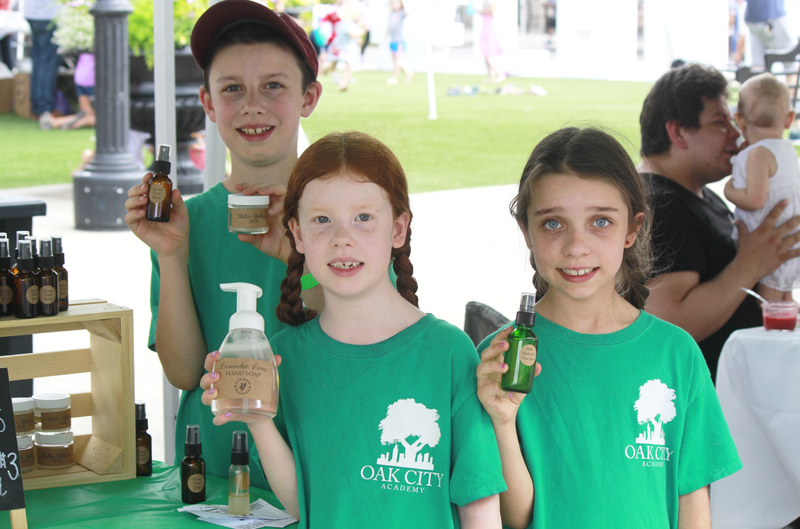 “Our parents sell products for an essential oil company, and we wanted to be like them,” Leala said. The children make hand soap, room sprays, and antibacterial hand sprays — all made with organic ingredients, including essential oils, vodka, and water. “I don’t drink the vodka,” Leala giggled. The siblings are just three of 68 children who took part Oct. 7 in the Raleigh Acton Children’s Business Fair. The fair, sponsored by the John William Pope Foundation, is part of a national franchise led by the Acton Academy and The Acton School of Business. It’s the second held in Raleigh. Last year, more than 60 kids set up shop in the The Commons at Raleigh’s North Hills Mall, the site of this year’s event. 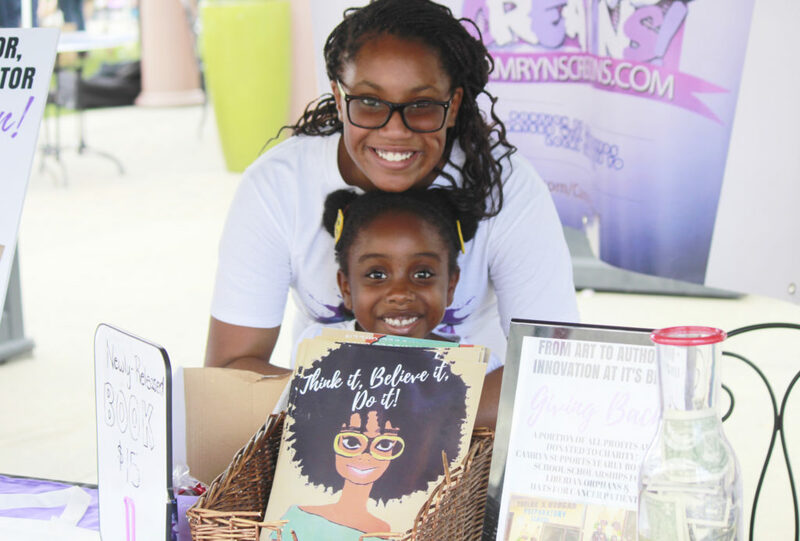 Young entrepreneurs between 6 and 14 came from Charlotte, Wilmington, and everywhere in between. Sixty-eight participants opened 45 businesses, with products from jewelry, to art, to pumpkin-flavored dog biscuits. Other exhibitors proudly displayed crocheted scarves, paper airplanes, books, and dog toys. The children’s efforts in production and marketing impressed the Pope Foundation’s Blake Brewer, who organized the event. Participants include students from traditional public schools, public charter schools, and homeschools. 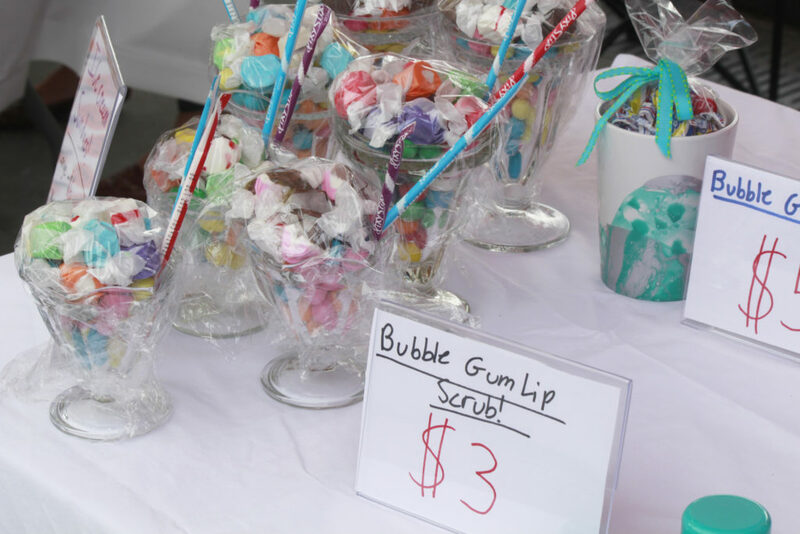 In addition to allowing children to show off ideas and sell goods to customers, the fair hosts a competition — divided into two age categories — in which judges award prizes for best business potential, best customer service, and best business idea. Winners get $50. Chick-Fil-A partners with the Pope Foundation, offering a special grand prize for entrepreneurs who win the “shopper’s choice” award. “The purpose of the fair is to instill in these kids entrepreneurship and the idea of free markets and free enterprise. We want to make sure they value that in their lives — and into the next generation,” Brewer said. The Pope Foundation is looking for a grantee for the Raleigh fair next year, Brewer said. 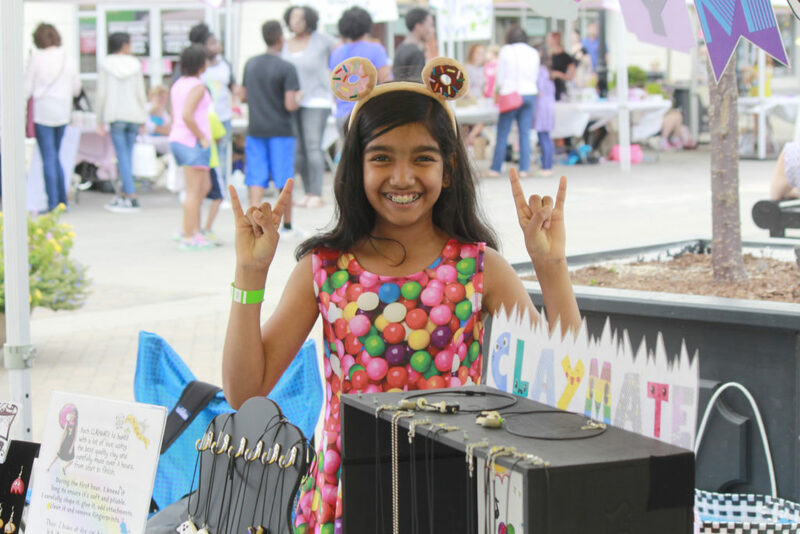 One other Acton fair is held in the greater Triangle area, but Raleigh’s fair offers a great chance for kids to stretch their business skills. For many child entrepreneurs, business is more than just about making money. A few dog biscuit purveyors donate proceeds to animal rescues. A young artist puts a large portion of her profits toward scholarships for Liberian orphans. “I’m just totally beaming. They’re amazing,” said Kari Breed, the kids’ mother, and a co-founder of Oak City Academy. They donate 10 percent of their proceeds to their school, Oak City Academy. The money goes toward scholarships for low-income students.